Alexis A. Meister | Albany Estate Planning Lawyers Burke & Casserly, P.C. 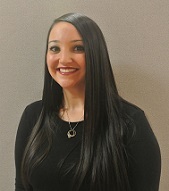 Alexis joined the Burke & Casserly, P.C. team on March 21, 2016 as the firm's receptionist/administrative assistant. Upon returning from maternity leave in 2018, she moved into a legal assistant position to begin learning the ropes. She is assisting the associate attorneys while she learns. Alexis lives in Voorheesville with her husband, Chris, her sweet little girl, Liliana and their newborn addition Briella! We can't leave out their furkid, Mia, their black lab. Alexis and Chris were married in October 2018. In the couple's shared time together, they enjoy watching the Mets or going to the lake when the New York weather permits!